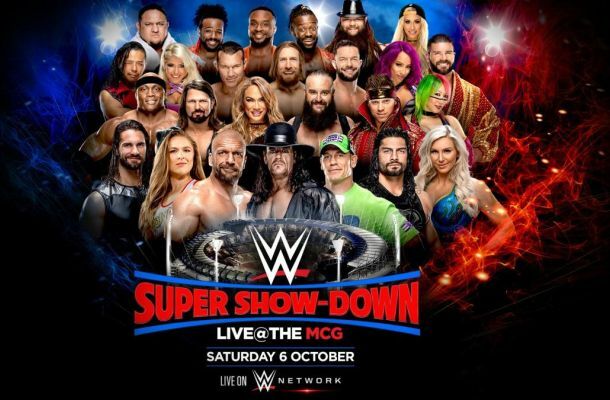 WWE Super Show-Down will take place Saturday, October 6th 2018 hailing from Melbourne, Australia. Super Show-Down 2018 will be airing on the WWE Network beginning at 5am EST. The main event is Triple H vs the Undertaker and we’ve also got Lashley/Cena vs Elias/Owens, Daniel Bryan vs The Miz, AJ Styles vs Samoa Joe and more. It promises to be a good card and it’s an interesting one. They’ve put a lot into the marketing of it however the question is whether it will be an actual pay per view in terms of results, or if it will be more of the original Saudi show where it’s nothing more than a glorified house show. So I’ve decided to approach this card as if it is nothing more than a glorified house show. I made the mistake with the Saudi show of thinking WWE would see it as an important event. Unfortunately they did not and I lost a couple of bets there. So what that means is the status quo won’t change – nothing too big happening etc. Maybe I’m wrong so these are just what I think I would bet on. Not official tips. Just my own personal bets as I am not sure how the card will go. The Undertaker To Win. 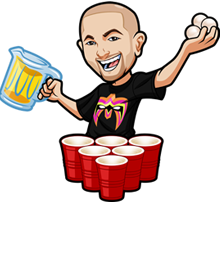 I learned my lesson after HHH vs Cena at the Greatest Royal Rumble. Of course with HHH it’s tough I mean he DID beat Jinder in India. And Undertaker could easily get his heat afterwards. Plus HBK could get involved. But either way with house show rules and Takers ability to actually wrestle I think this will be a gimmicky version of the Rusev match. Asuka/Naomi To Win. I’m surprised they’re such underdogs. At this price, ALWAYS bet against someone in their home town. WWE is freaking bizarro world in regard to burying people in their home town so often under the whole theory from the 70s of “they’ll pay to see them get their revenge”. That or they just love flexing their muscle. Either way I’m down with this bet. Becky Lynch to beat Charlotte: Status quo won’t change. I figure if they are going to do a title change or anything they do it at Evolution. Cedric Alexander to win. I mean hell storyline wise they probably should put Murphy over here and with it being a lesser title there’s a good chance they give the Aussies that title change. But I’m good with going with the house show rules. The Miz to win. I’m always happy to bet The Miz at this price. He’s my golden boy when it comes to betting.